Laos has notified its Southeast Asian neighbors that it’s moving ahead with a third contentious hydroelectric dam on the Mekong River’s mainstream. The Mekong River Commission, an organization that groups together Laos, Cambodia, Vietnam and Thailand for joint management of the river, said in a statement it has received notice from Laos that it will undertake a process of consultation about the Pak Beng dam. In the previous consultation cases for the Xayaburi and Don Sahong dams, Laos pressed forward with the projects despite vociferous objections from the other countries, scientists and conservationists. It has already begun preparatory work for the 912-megawatt Pak Beng dam in the northern province of Oudomxay, and the official Lao News Agency reported in July that construction would begin in early 2017. Critics of the dams say they will damage wild fisheries and a rice bowl delta that feeds 60 million people in the region, with the severest effects in the downstream countries Cambodia and Vietnam. 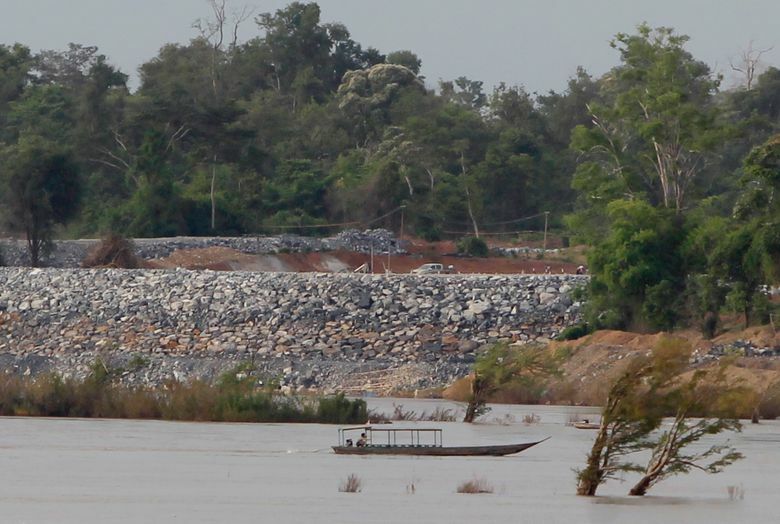 The river basin is already under pressure from dozens of dams built on Mekong tributaries. The government of Communist Party-ruled Laos sees hydroelectricity exports as a way to develop its impoverished economy and plans up to nine dams on the Mekong mainstream. But by jeopardizing wild fisheries it might add to its own food security problems. The World Food Program says nearly half of children under the age of 5 in Laos suffer from chronic malnutrition and stunting. The impact of the Lao dams, and half a dozen dams already built on China’s stretch of the Mekong, will be “extremely grave,” said Nguyen Thi Hong Van, a coordinator of Vietnam Rivers Network, an advocacy group. She said Laos could build too many dams and end up with surplus electricity because its plans don’t consider long-term energy development in the region. The Mekong commission’s relevance as a transboundary organization has been undermined by Laos, as well as its own internal failings. Foreign donors have cut financial assistance and the commission’s staff numbers have been slashed. But it said in the statement that despite lack of agreement, the consultation process for the Xayaburi dam had resulted in the Lao government and the project’s Thai developer spending an additional $400 million on design changes that could mitigate some of its damaging effects. The consultations take about six months. International Rivers, a river conservation organization, said the process is regarded as “little more than rubberstamp” by many, particularly Mekong communities affected by dams. In the case of Don Sahong and Xayaburi, specific requests from neighboring governments, including additional baseline information, studies and transboundary impact assessments, remain unaddressed, said its Southeast Asia program director, Maureen Harris. “The impacts from each new dam in the proposed cascade are cumulative, and threaten to fundamentally transform the river’s ecology and destroy much of its biodiversity together with food systems that millions of people depend on,” she said. Earlier this year, a study funded by Vietnam predicted Mekong Delta rice production would drop steeply because the dams planned by Laos would trap sediments, reducing nutrients flowing downstream, and reduce fish stocks by disrupting migratory breeding. It estimated annual fishery and farming losses of more than $760 million in Vietnam and $450 million in Cambodia, the two worst-affected countries. Associated Press writer Tran Van Minh in Hanoi, Vietnam, contributed to this report.